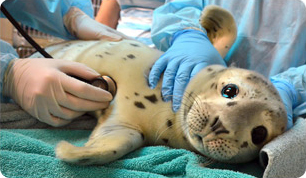 Every dollar you donate buys one pound of fish, so $10 buys one seal pup a meal. Your gift will have an immediate impact on our hungry patients. Whatever level of giving you choose, your donation and dedication is invaluable to our marine mammal patients. Field Is Required How many pounds of fish do you want to give? Buys a hungry pup a fish milkshake! 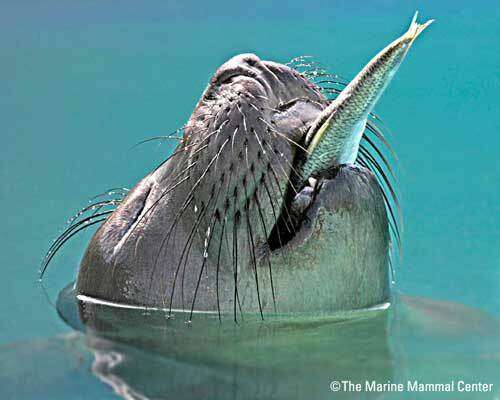 Buys a full day of fishy meals for a sea lion! Buys a hungry pup fish milkshakes for the entire day! Plus you'll enjoy Basic Membership benefits! You'll feed 150 pounds of fish to hungry pups! Plus you'll enjoy special Family Member benefits! Buys an injured patient an x-ray! Become a Monthly food donor! Yes, repeat my fishy gift every month. I wish to begin or continue to receive e-communications to hear about events, special offers and stories of current patients.